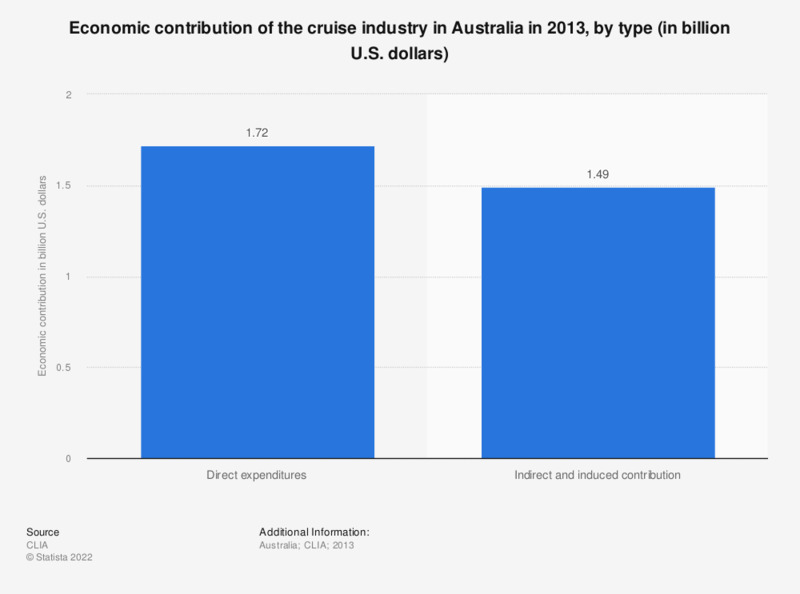 This statistic shows the economic contribution of the cruise industry in Australia in 2013, by type. The cruise industry in Australia directly contributed approximately 1.72 billion U.S. dollars to the Australian economy in 2013. Statistics on "Cruise industry in the United Kingdom (UK)"